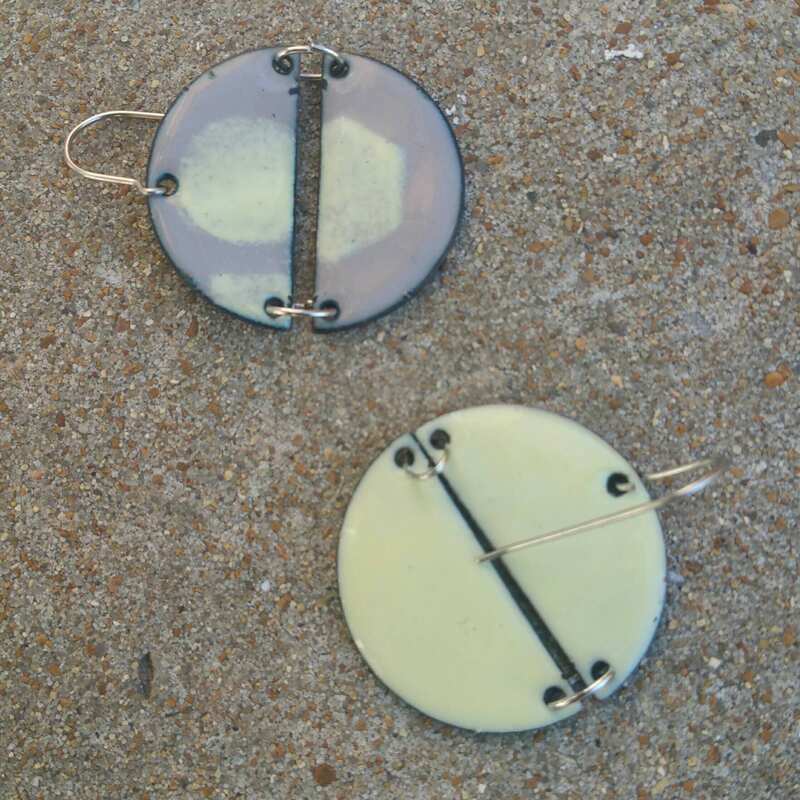 Created from copper and vitreous enamel (powdered glass). 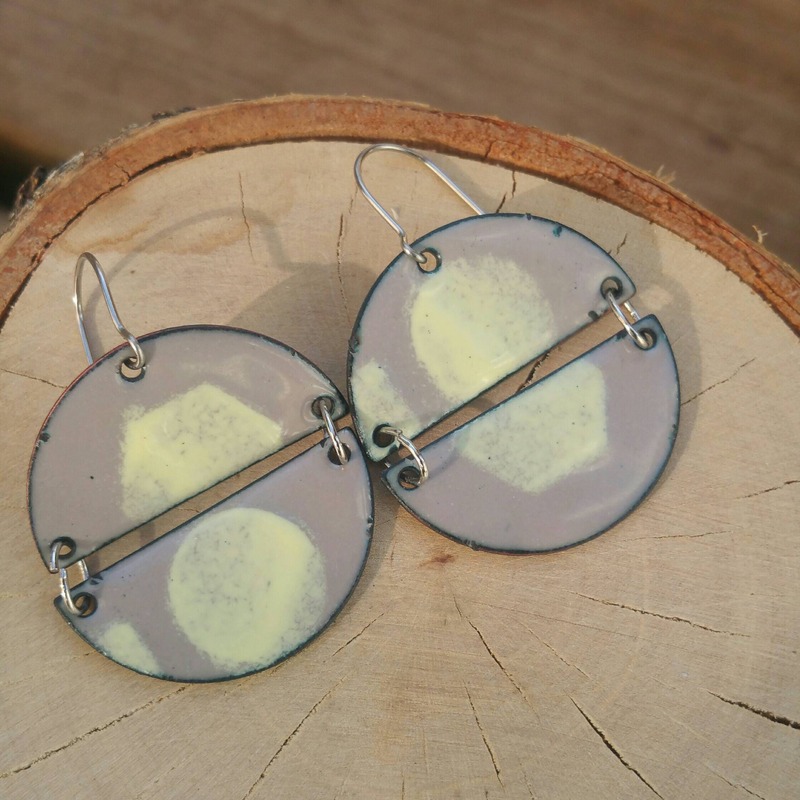 Enamel is sifted onto the copper and fired in a hot kiln. 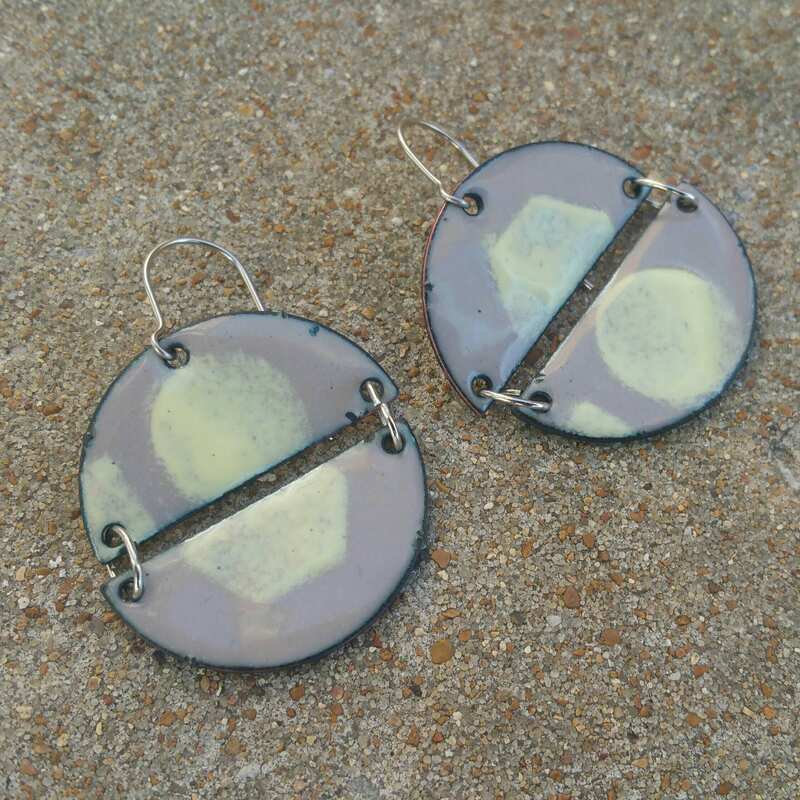 Multiple layers of enamel with multiple firings on each side fuse the glass to the metal. 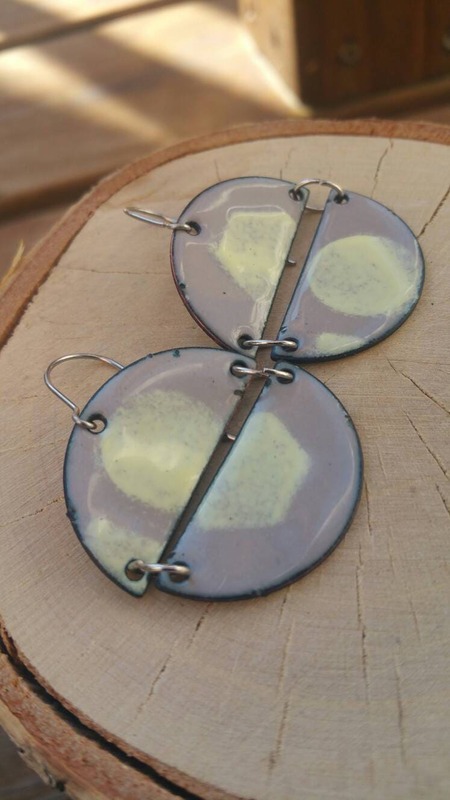 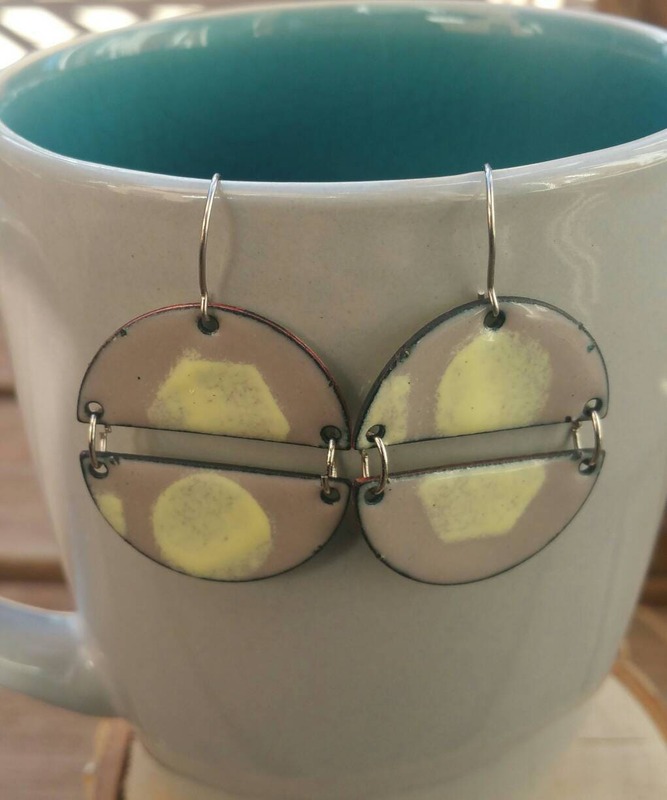 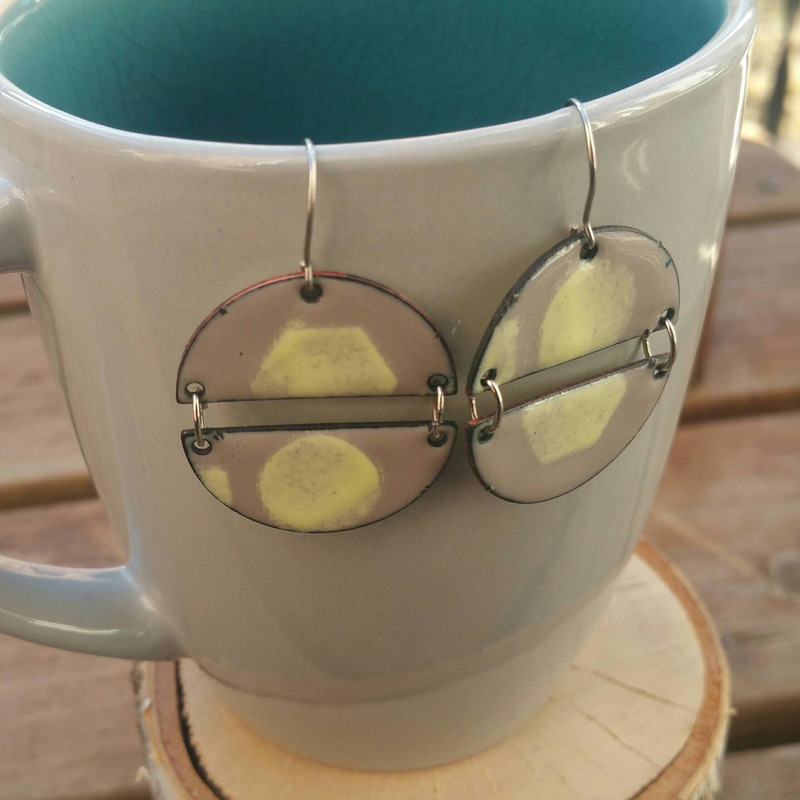 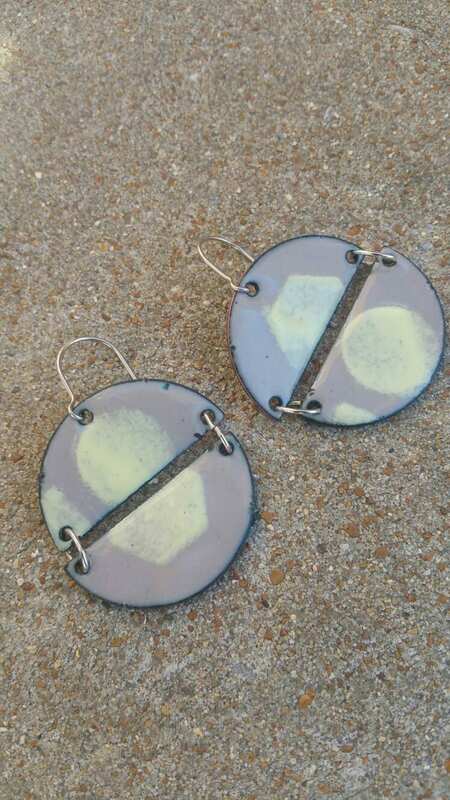 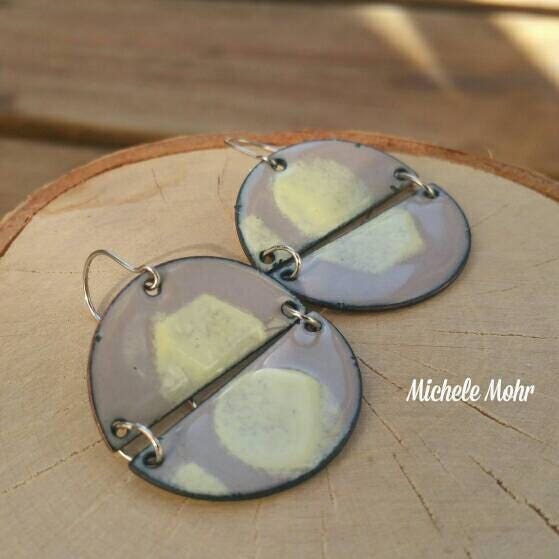 Lovely muted dove gray and cream enamels were used to create these lightweight funky and elegant earrings.